The secret here is what’s in the secret sauce. 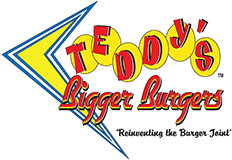 Teddy’s not telling, but he will say that every beef burger is made with 100% ground chuck (no fillers or binders). If you’re hungry, order their biggest ‘bigger burger’, the double-patty 18-ouncer. If you need help washing that down, the milkshakes are quite tasty.” 808-735-9411.